Even in 2010 the presence in the Sanremo Bay of the Amerigo Vespucci School Ship will be confirmed, on board of which on Saturday, June 19th the prestigious prize ceremony for the literary prize founded by the Sanremo Casino will take place. The majestic school ship will already be on the sea space in front of the City of Flowers on June 17th to act as a frame to the historical Giraglia Regatta, which is back in Sanremo after 12 years of absence. The “Casino Sea Book” prize has conquered year after year an important space in the national and international literary prizes scene, yearly increasing in prestige and fame. 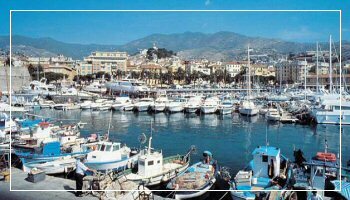 The sea is a well bonded topic with Sanremo and its history and tradition, another reason where to associate the name of the City of Flowers to another important event.